When you’re out there looking for the best rangefinder, you may notice there are various categories of the same, but they can be, for the purpose of this article, roughly broken down into golf, hunting, and archery rangefinders. Now, at first, you pretty much won’t notice any difference between the three categories, because, in truth, they are pretty similar in some aspects. On closer observation, though, you’ll find there are a few striking differences that make each more suitable for its designated function. First things first, we need to get this out of the way. Binoculars are very different from rangefinders, and one should never be confused or substituted for the other. 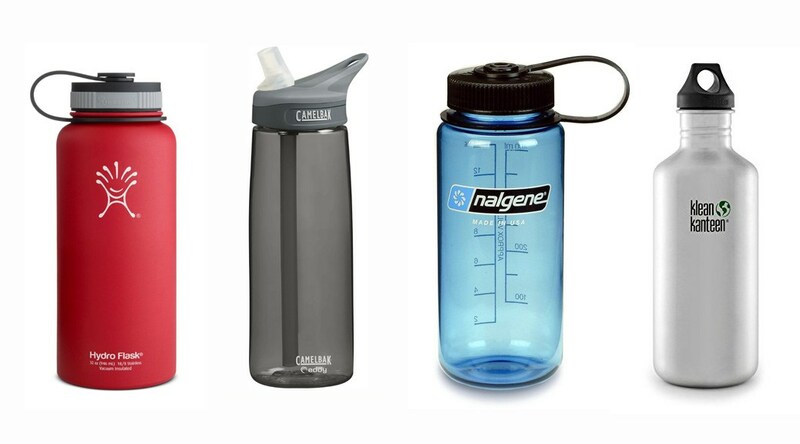 The one thing that remains similar between them is that you can get the highest quality you can afford. Despite our assertion on using the right tool for the job, it so happens that once in a while. In the most desperate of situations, one rangefinder can be switched out for another. 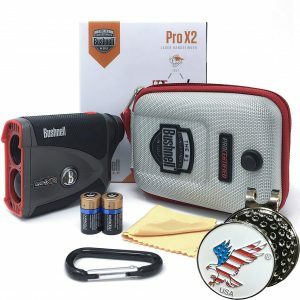 For instance, a laser rangefinder primarily used by golfers can be switched out for one used for hunting and vice versa, but hunters will benefit very much from buying a different rangefinder altogether. 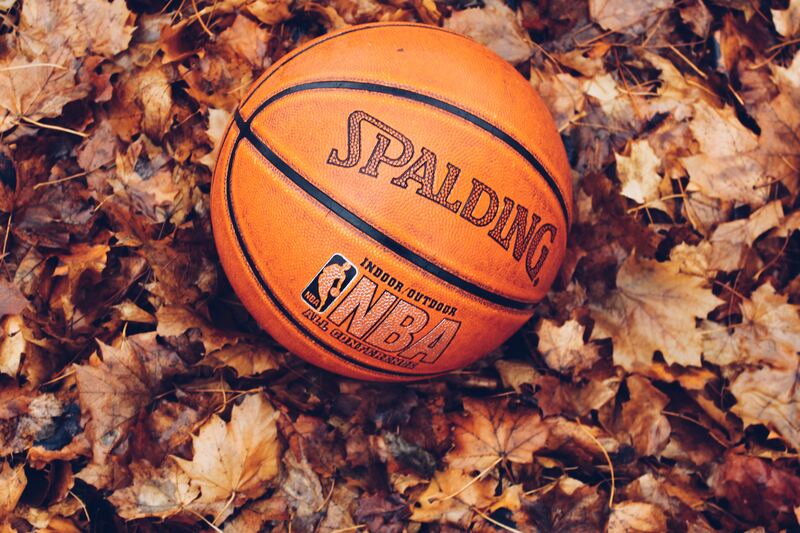 It’s pretty much similar to shoes – soccer players’ shoes are vastly different from basketballers shoes, and switching one pair for the other would lead to a huge mess. Below, we have compiled a detailed comparison of how to choose the right rangefinder for the job, a detailed comparison of the different types of rangefinders you can easily find on the market and which one would be the most suitable for your craft. Rangefinders are made to different specifications, each made to realize specific goals. Some rangefinders are ideal for extremely long range use. 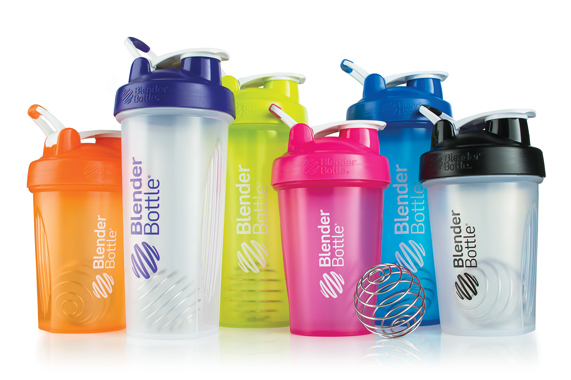 It comes with superior glass optics with multilayer coatings. Plus, large exit pupils these make for great light transmission and ultra-clear pictures. Other models are simply designed for close range use and lack features like large objective lenses, lighted reticles, range modes and magnification options. There are a few factors you should consider before finally settling on a rangefinder, and they are listed, with no sense of priority, below. What will you use your rangefinder for? Determining the purpose of your rangefinder is the very first step towards ensuring you’re going to get a model that’s going to be the most useful for your craft. There are two types of rangefinders; rangefinders that read the first objects in their path, ignoring those further out are said to be first priority rangefinders, while those that do the opposite are referred to as second priority rangefinders. First priority rangefinders are most useful for functions that include extremely long distance use such as the golf and archery. On normal occasions, there should be no obstructions between you and the flag on the golf course. Unless, of course, the flag is not visible. For that reason, all golf rangefinders are in first priority mode. If you want to range on a flag that’s 120 yards away, it will read 120, and not, say, 140, which is a real sense, are the trees at the back of the flag. Similarly, for archery, there should be nothing to obscure your view, and as such, you should have a clear line of sight. 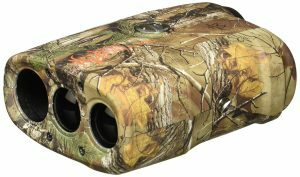 Second priority rangefinders will be more useful for hunting purposes. A second priority rangefinder, used in the context of the first example, would notice the trees in the background instead of the flag, reading 140 instead of 120, since the trees are further out. During hunting, you may often find yourself blinded by trees and twigs, and second priority rangefinders would ignore the first object in their line of sight such as branches, and instead recognize the most far-out objects, which may be game. Can first and second priority rangefinders are switched out, use one in place of the other? Definitely, there’s nothing stopping you. Is it advisable? No, not really. Whereas one could technically do the same job as the other, it’s more or less the same as swapping a spade for a hoe. Both of them is castoff to dig, but only under certain conditions. As such the product designed for your specific use case will be a lot more user-friendly and not require multiple readings to ensure the correct distance. The reticle is the aiming point or circle you see when you look through the rangefinder. The shape varies depending on the model. Some reticles are simply black lines that you superimpose over the object you’re ranging. And are often difficult to distinguish on a dark background. Other reticles are actually LED lights and thus appear illuminated, and through adjustable, in bright conditions, they may be drowned out by the ambient light and cannot be seen, even at the highest settings. Magnification, generally referred to as power, is the maximum distance your rangefinder will be able to zoom into. Generally speaking, and for most use cases a 6x or 7x magnification level is time. Meaning the object will appear 6x or 7x closer than it would with the naked eye. The picture quality is usually directly proportional to the quality of glass, and by extension, the price. Better glass means better picture quality and ultimately, higher prices. You can make use of diopters to adjust the view depending on the strength of your eyes. This will allow you to produce the clearest picture possible. Furthermore, this feature is available on most rangefinders. Battery life isn’t something to be overly concerned about, and you may only have to change it once a year. However, always carry a spare, just in case. These two attributes shouldn’t trouble you too much if your primary use is archery or golf, but if you’re a hunter, they are of monumental importance. For hunting, small and light is the way to go, while the opposite is true for golf. Scan mode is often featured as a function enabled at the click of a button, that afterward provides a continually changing reading. For instance, in the context of golf, it could be used in first or second priority mode to get the readings on the trees in the flag’s background. When you reach the flag the distance reading will shoot to a much closer reading, and then back again when you pass it. This is especially useful at longer distances on the course or in the field and is one of my most used features on a rangefinder. Even with a helpful guide such as this one, there are hundreds of rangefinders out there with similar specifications, and filtering through them to find the one you want is a daunting task, to say the least. In selecting which ones we most preferred, we tried our hardest to factor in as many considerations as possible in order to come up with a comprehensive, all-rounded go-to guide for selecting the best rangefinder for your sport. At the core of it all, the factors we gave the highest priority in the selection process were durability and reliability. The most attractive qualities can thus be easily deduced to be lightweight materials and construction, having these at an optimal can make them quite expensive to acquire, with a price tag of $1000 upwards. Spending that much every year isn’t a luxury that many can afford, and thus the importance of durability in our specific context. User friendliness was also important during the selection process, because for all intents and purposes, the rangefinder is a tool to make it easier to perform certain functions, and there’s no point of having a tool that’s thoroughly difficult to use. If it isn’t user-friendly, you’re better off sticking with the binoculars crowd. If you’re an archer, you’re going to want a rangefinder with great accuracy while not compromising the ability to understand environmental factors. The Nikon 16228 came as our first pick because out of all the archery pundits we visited to ask what they thought was the ideal rangefinder, or more specifically, which one they used the most, nearly half of them referred us to this brilliant machine, and it’s easy to see why. It features very accurate and specific measurements, that you can increase by 0.1 yards (changeable to meters). It comes with first target priority mode, which is a really big selling point since it can easily focus on targets as thin as 2 cm from over 100 yards away. What’s more, its mapping interface performs just as great with close-range distances of even 5 yards. This monster of a machine can endure conditions like fog and rain, with an impressive 89-degree angular range that easily enables straight shots both up and down. With a CR2 lithium battery, the Nikon Arrow is sure to endure use over extended periods of time. When it comes to optics, the Bushnell G-Force 1300 is a hand down winner, with hardly any contest thanks to 6x magnifying optics – the lovechild of Vivid Display Technology. It has an incredibly accurate design that can reach up to 1,300 yards, with 1/10 yard increments. From various field tests we conducted, the data revealed the Bushnell G-Force to be accurate enough to land within ½ yard for all distances up to 475 feet, deteriorating linearly further distances out. It doesn’t stop there though, as the engineers were generous enough to include three different modes, each with its own specific advantages. Bulls-Eye – This mode emphasizes sharpshooting. Brush, Scan – This mode focuses on panoramic aiming practices. Speed. 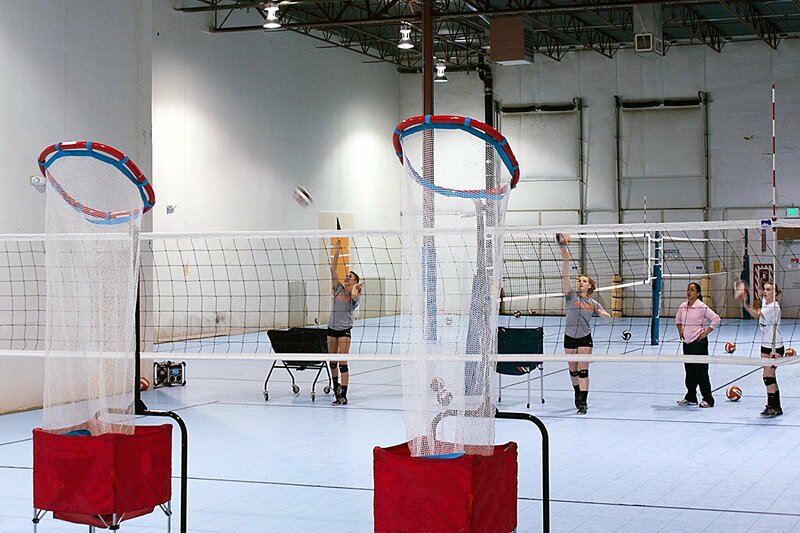 Precision – Contains software for motion tracking, the most advanced currently available to casual customers today. The second runner-up for the best rangefinder for archery is a machine that’s best used for archers new to the craft. 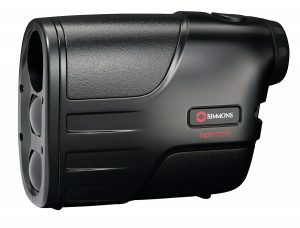 The Simmons LRF 600 was made for precision, with a 4x magnifying lens, that should be just enough for beginners, with a lightly compacted vertical layout that makes it easy to handle. It possesses a magnifying range of up to 600 yards. And an LCD display for exceptionally bright and clear visuals, all combined with quite the affordable price range. 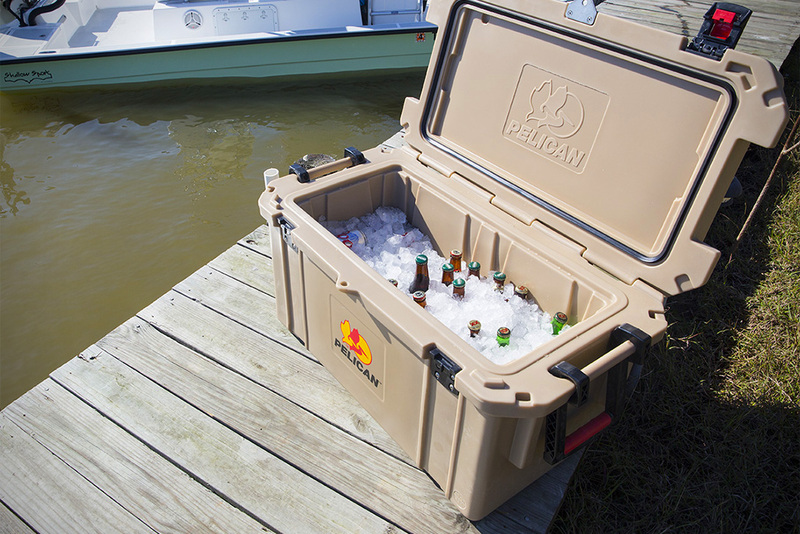 Though not it is not the most durable product on the market, it comes with a casing that can resist moderately harsh weather conditions. Hunters use rangefinders to judge the distance between themselves and game for a more accurate shot. For the purpose of hunting, a rangefinder will work best if paired with a rifle scope. For that reason, here are the best gadgets to pair a rangefinder with for the most accurate shot. 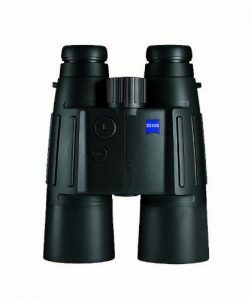 You may already know Zeiss as a European optics company renown for their high-quality binoculars, and as such, it shouldn’t come as a surprise they produce some of the highest quality rangefinders in the market. The Zeiss Victory is no exception to the rule. Last, but our favorite feature, it has an internal Ballistic Information System that works using built-in ballistic tables for certain bullet calibers and weights at different muzzle velocities and distance measurement. This is all combined to provide incredibly accurate holdover distances for more accurate shot placement. 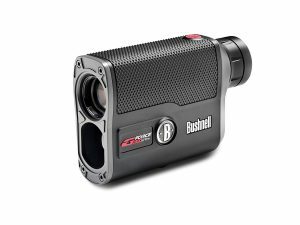 The Bushnell Bone Collector is included on this list because of its incredible popularity, being one of the best selling rangefinders this far into the year, and, once again, these great many people like it for a reason. For one, it’s quite affordable, considering the accuracy it provides, which is, by the way, +/- 1 yard. This may not be the most impressive we’ve seen thus far. However, if you’re going to need a lot more precision, you’re going to need to cough out more cash. This device is pretty simple, with just a single button and a weather resistant housing (which comes with a complimentary case). Its primary downside is that it doesn’t put the ‘range’ in rangefinder, with a maximum magnification distance of 600 yards. Its winning point, though, is its ability to perform in low light. It also deliver unmatchable levels of crystal clear crystalline optics, even in almost total darkness. The Bushnell Bone Collector is a great choice. Unless you want great distance precision when it quickly fades to your worst nightmare. In that case, though, the next item on this list could prove to be quite a gem for your use case. 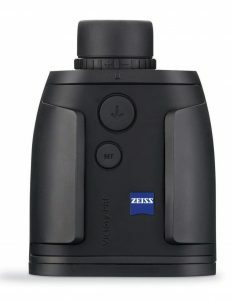 If you consider yourself a fierce hunter, then the other entries on the list might seem a little below par for your needs, and the Carl Zeiss Inc Victory 10X56 was made just for people like you. The first thing you’ll notice is that it doesn’t feature the well-known and widely adopted monocle design. It utilizes more traditional binocular approach, giving them an upper hand when it comes to image resolution, where it’s absolutely unparalleled. 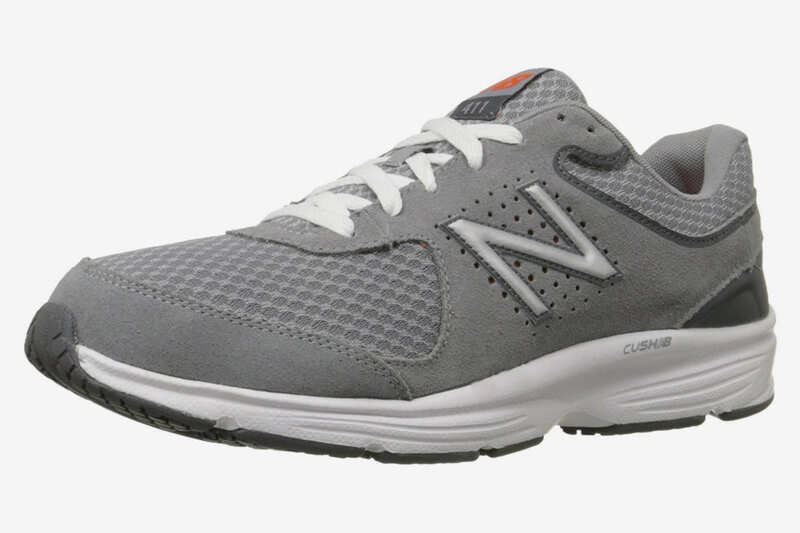 Its exterior shell comes with great precision, with an aluminum-steel alloy that makes it pretty hard to dent, and gives it an anti-recoil featuring. With the reticule eliminated, it can view to a whopping 1,300 yards, eliminating parallax errors due to its binocular design. Parallax is an optical illusion that makes distant objects seem to move slower than closer ones. On the flip side, this pair of rangefinders is a bit… expensive. Remember, this isn’t ideal for casuals. 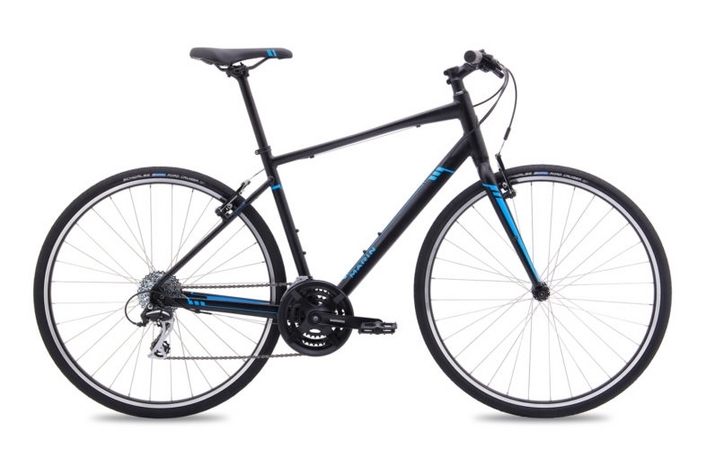 Plus, has an additional black matte finish that makes it a luxurious find to own. It also features slope switch technology, which offers great flexibility to players who participate in competitive golfing. The slope compensation can be particularly useful during practice rounds. Because by the simple flick of a switch, you can measure distances. This is also similarly applicable in events where distance-measuring rounds are okay. To cut the long story short, though, the Pro X2 comes first on our list because it’s incredibly accurate, packed with the latest technology, lightweight, making it easy to carry around and very durable. It’s sure to serve you diligently for a long time. This was a particularly difficult entry to place, because of its similarities with the Pro X2, since it’s just as, if not more popular than, its competitor with famous golfers all over the globe. 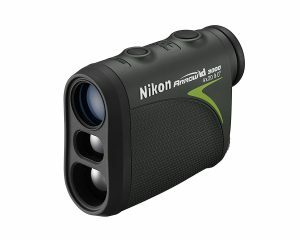 It features state-of-the-art technology straight from the top producer of rangefinders in the world. 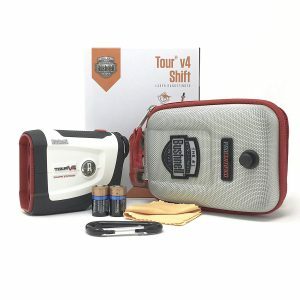 This rangefinder that comes with a stylish contour offers great performance. Furthermore, it has 24mm objective lens alongside 5x magnification capabilities. In fact, it can offer 1000 yard maximum range, with a minimum of 10. All you need is a good pair of eyes and a good pair of Bushnell Tour V4, and you’ll be able to estimate flags to within a single yard, with an accuracy of up to a total 300. The laser included in this rangefinder is also completely safe, thanks to its sturdy carrying case. It also includes a standard 3V battery and a unique design structure. 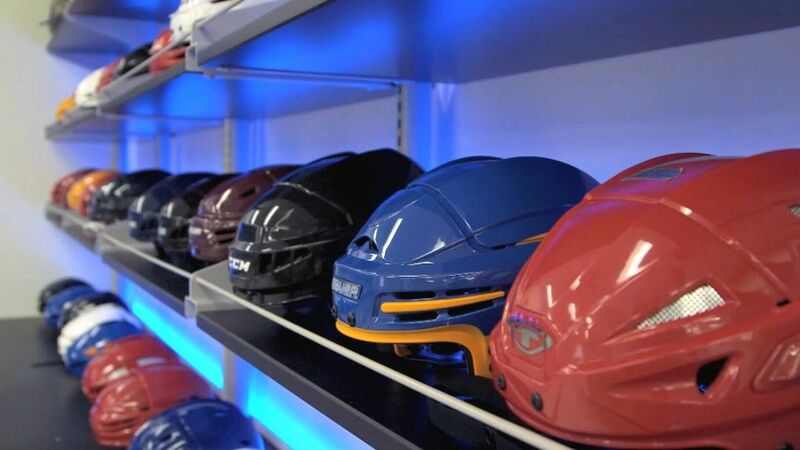 If you’re one for details, it also includes a year’s worth of warranty and certified legal for official tournaments. The TecTecTec VPRO 1 provides a somewhat different approach to golfing as compared to similar counterparts. It offers crystal clear imagery and an embedded 6x magnification power. Each shot is accurate to within one-yard accuracy for up to 540 yards. The key to TecTecTec’s innovative success lies in a unique feature. This feature is not available in any other rangefinder. For instance, the ability to change modes from first target priority. However, this will simply measure distance in regards to whatever is nearest to it. Then distant target priority mode (second priority), which essentially does the opposite – it seeks the farthest-out object. 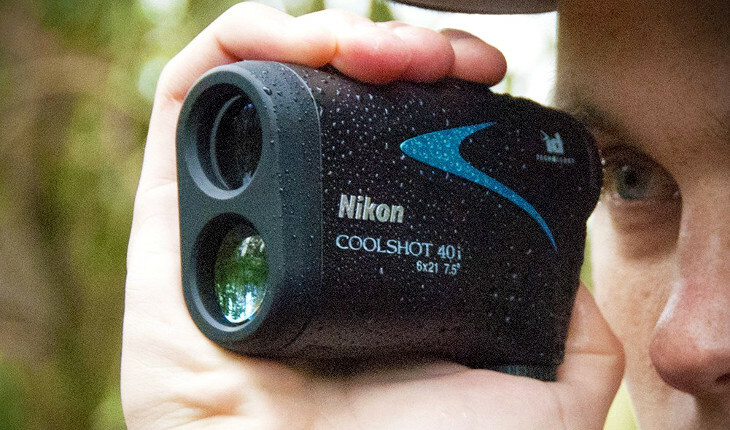 There are a wide variety of rangefinders on the market today. All with different and unique features. From the simple to the overly complex, bordering bloated technology. 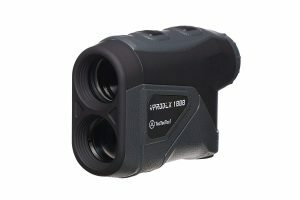 Another thing that you should always keep in mind is that regardless of the manufacturer’s stated maximum distance, most rangefinders will only work to within a third of the said maximum. Unless the conditions are perfect, as stipulated by the manufacturer. Lastly, if you’re a hunter, choose a unit that you can put in your pocket with ease. Why? Since they provide a certain versatility that heavier rangefinders can’t possibly offer. However, archers and golfers will do just fine even with larger units. Because they can operate with two hands instead of one.